Added on February 1, 2017 by Adrian and Shane. Check out the new Adrian+Shane interview at Modern Magazine. Added on September 7, 2015 by Adrian and Shane. The prints feature a selection of self portraits. Hand signed and numbered edition of 25. Added on July 3, 2015 by Adrian and Shane. 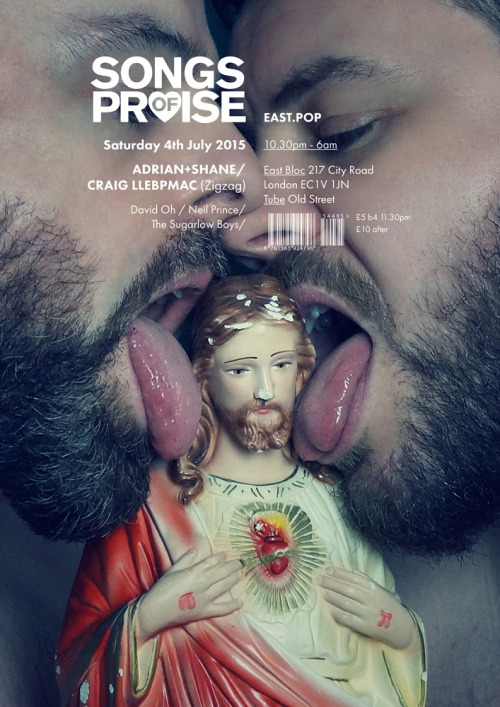 Adrian+Shane take over a room at SONGS OF PRAISE, East Bloc, London on Saturday night (July 4th). We’ll be playing a mix of tracks from the 80′s/90′s/00′s … as well as debuting a new video installation. Added on June 21, 2014 by Adrian and Shane. Adrian+Shane feature in issue one of Loverboy Magazine along side Francois Sagat, Janice Dickinson, Willam Belli and Christopher Ciccone. "Bridging the gap between the glossy fashion mags, the music press, celebrity titles and the gutter Loverboy is the brainchild of Editor-in-Chief and boy about town Michael Turnbull." 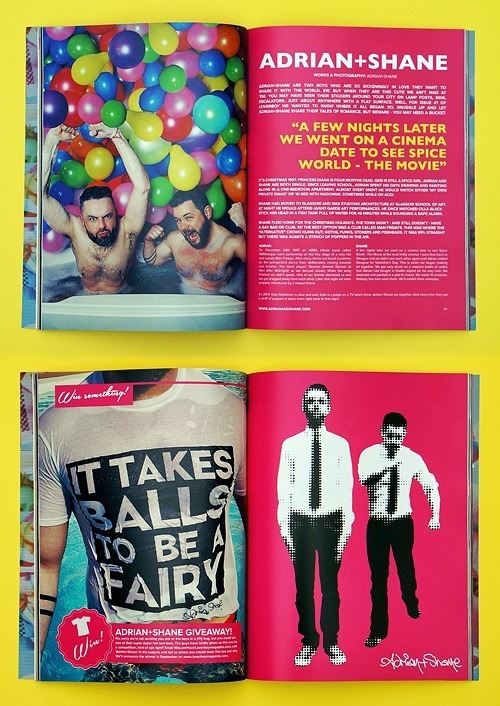 There's also a competition to win an Adrian+Shane 'IT TAKES BALLS TO BE A FAIRY' T-shirt. Order your copy of Loverboy Magazine HERE.